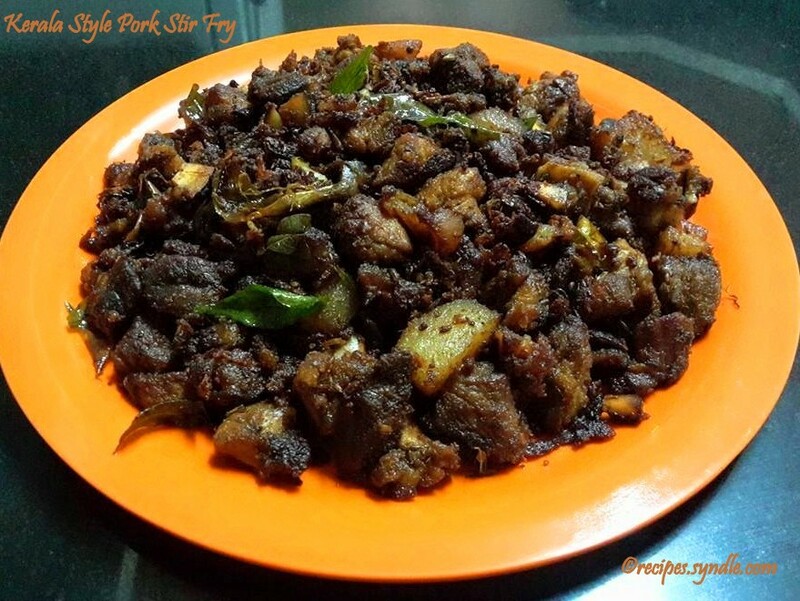 Kerala Pork Fry is a popular recipe in south Kerala. 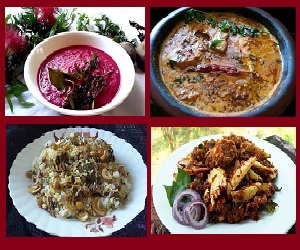 For special Occasions like Christmas, Easter pork is an inevitable dish in kerala specially kottayam. 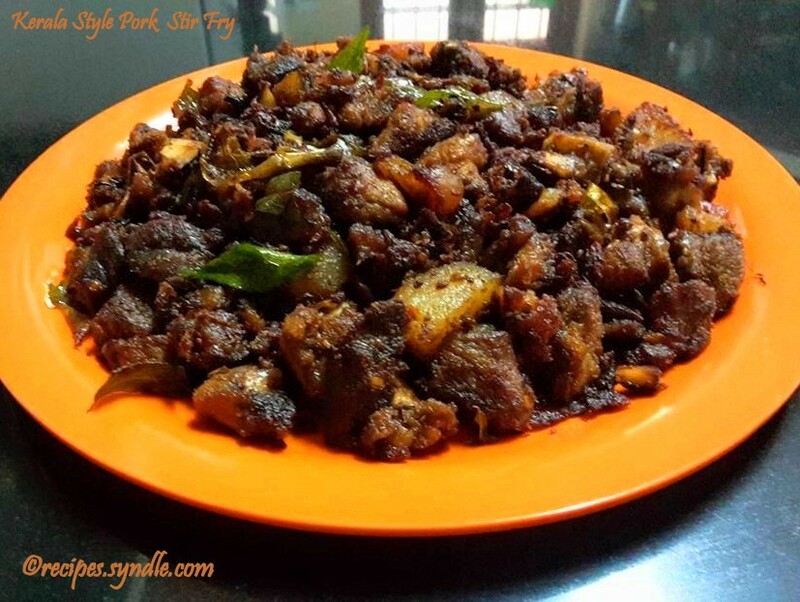 Erachi/meat Ularthiyathu/stir fry dishes are very common and regular in christian families. 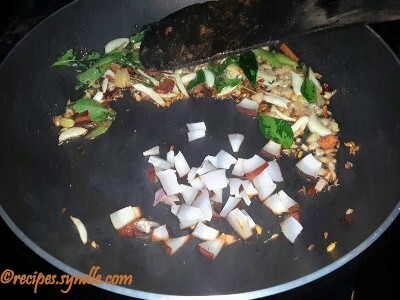 Every home has there on way of making erachi/ meat ularthiyathu/stir fry and this is how we can make it at home. 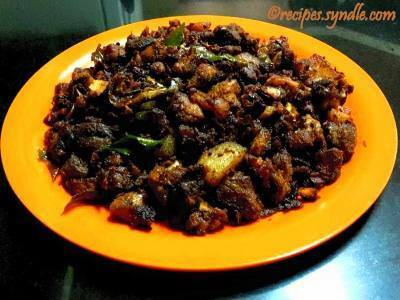 If u are a lover of this meat u can eat along with bread , rice etc. 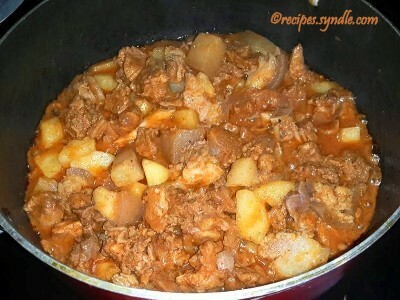 Here I used potatoes also along with this meat preparation. 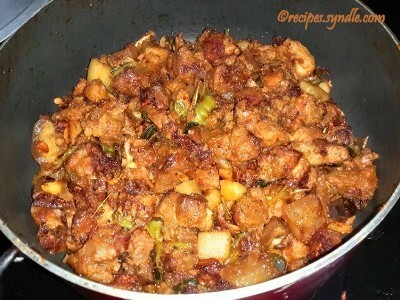 Potatoes are cut in cubes are stir fried with pork. 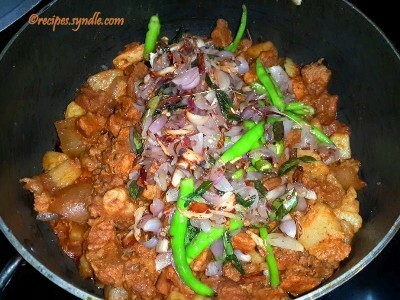 This is a bit spicy recipe with pepper, green chillies and red chillies, This is a wonderful recipe and is an excellent appetizer with drinks. 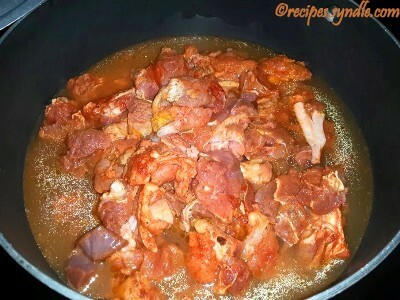 Lets see how I am going to make this Kerala style pork stir fry. 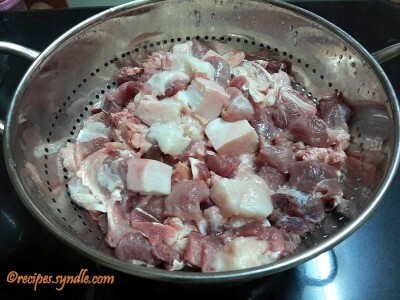 Wash cleaned pork into cube pieces. Drain the water completely. Marrinate pork with the ingredients listed under ‘For Marrinating the Pork’. Keep it aside for 20 minutes. 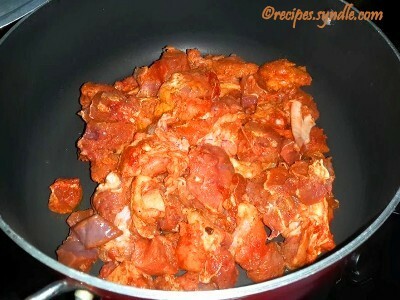 Transfer the meat to the non- stick sauce pan, add half a cup of water to this and cook covered till the pork half cooked. 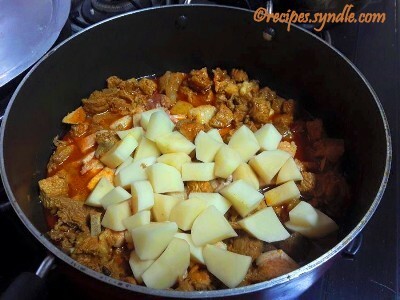 Now add the potatoes cut into cubed pieces, to this half cooked pork and stir well and cover it and cook for 15 minutes more in a medium flame. After 15 minutes, open the sauce pan. If it having excess oil, drain out the excess oil and adjust the salt at this level. Keep it aside. 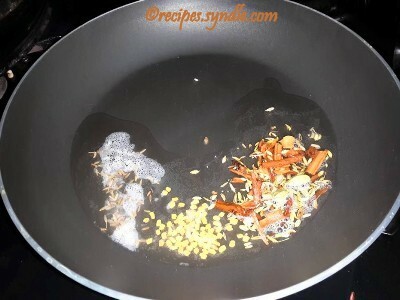 Heat 1tbsp coconut oil in a frying pan and add cumin seeds, fenugreek seeds, cinnamon, fennel seeds, caradamom and saute it for 1 minute. 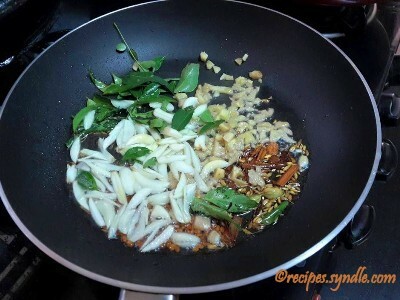 Now add chopped ginger, garlic and curry leaves into it and stir it for 2 minutes, till the raw smell disappears. 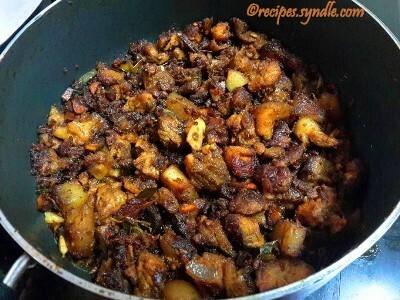 Then the chopped dry coconut pieces and saute well, till it turn light brown. 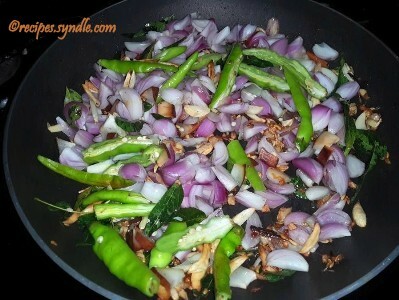 Now add the shallots, green chillies and saute well till it turn light brown. 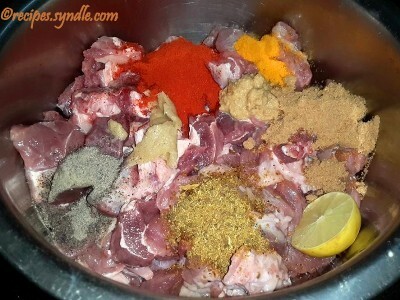 Transfer this fried mix to the cooked pork and stir occassionally in the medium low heat for 20 minutes. Stir the pork fry for 5 more minutes, till it turns very dry. Its ready to serve. 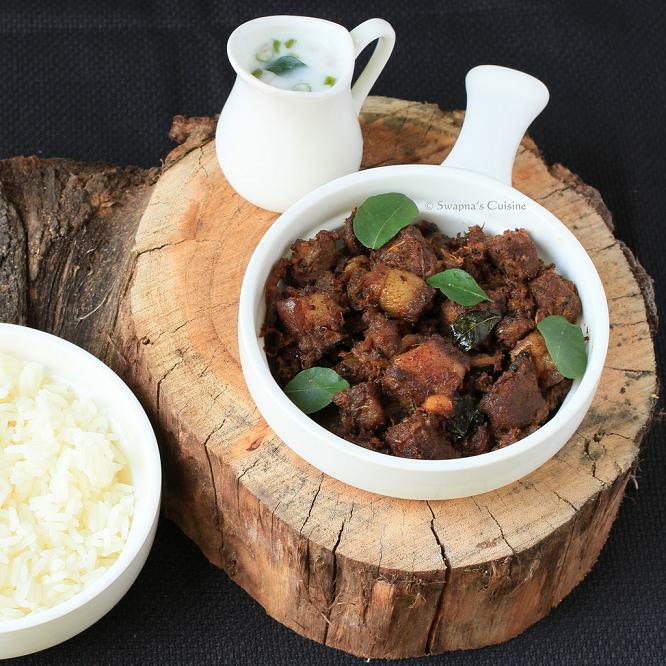 Serve it along with rice and morru curry. 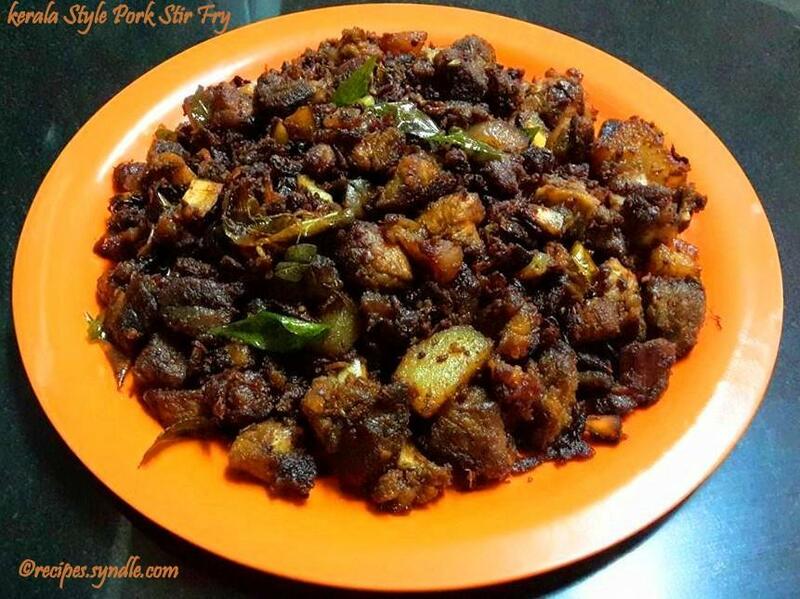 I have found some other recipes also for Kerala pork fry. You can try that variation also. Previous Post: Caramel Custard/Caramel Pudding – Non Baking Method And Baking Method.